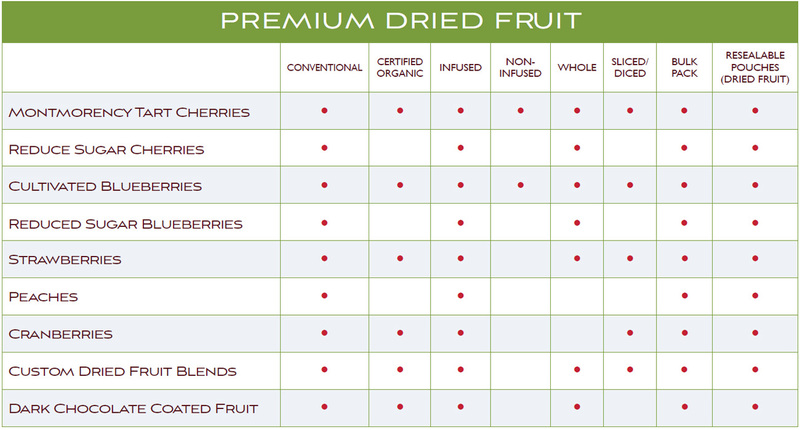 ROYAL RIDGE FRUITS is a leading vertically –integrated North American grower and producer of premium dried fruit. The company is committed to industry leadership in (1) Product quality, (2) Food Safety, (3) Customer Service, and (4) Competitive Pricing. All of the company’s dried fruits are harvested at their peak for texture, flavor; and visual appeal, and then air- dried. Royal Ridge’s dried fruits are the ingredients of choice for food manufacturers of traditional or certified organic ready-to-eat and hot cereals, granola, baked goods, fruit & nut bars, trail mixes, and other products. Royal Ridge Fruits processes fruit in their 200,000 square foot facility near the farms and orchards of their sister company, Dorsing Farms, in the Columbia Basin of central Washington State. The company has state-of-the-art equipment, including custom-built dryers, new optical color and laser sorters, custom-designed pitting and processing lines, high -speed packaging lines, and on-site freezing and frozen storage. The Company’s R&D and Production teams are able to fine-tune products to meet specific customer needs. Royal Ridge ensures quality in all of their dried fruit from the earliest stage in the production cycle-growing and sourcing premium fruit-through every stage of fruit processing and distribution. 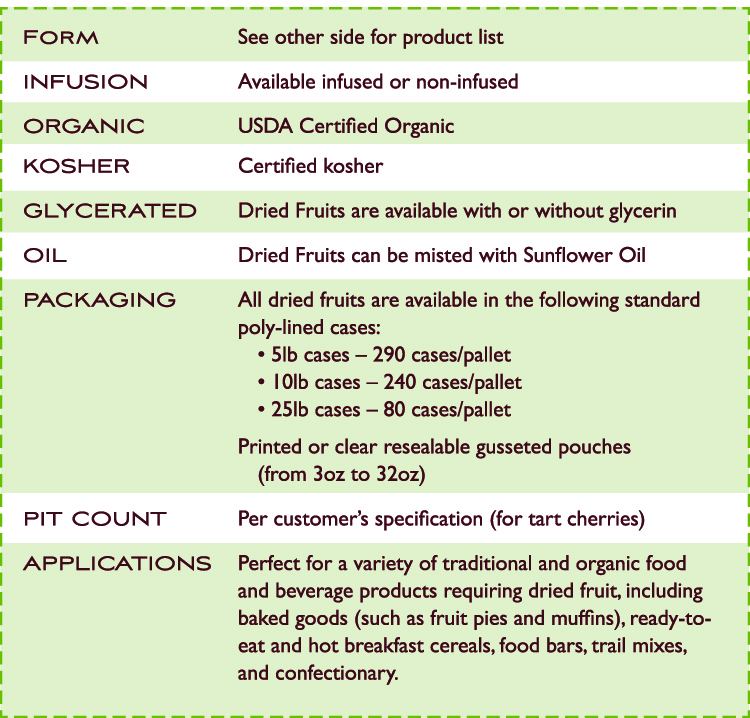 All fruits are sourced from Dorsing Farms, or other trusted growers in the U.S. and Canada.